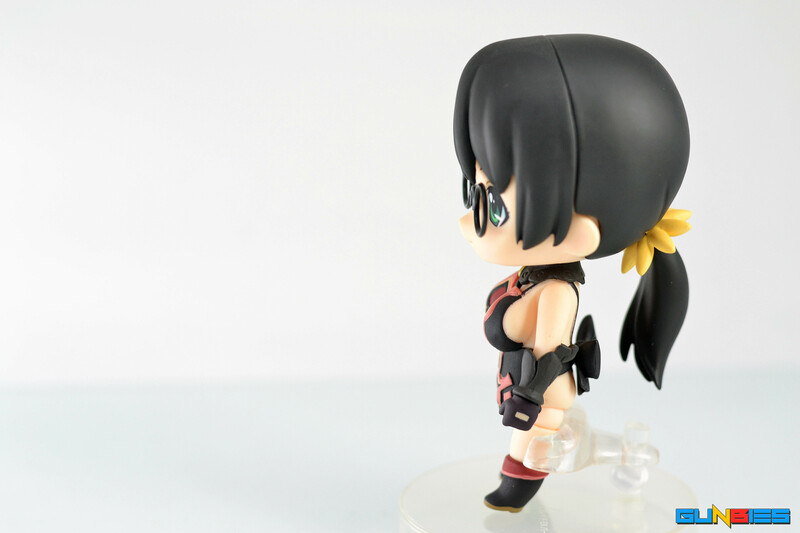 Nendoroid #133b Queen’s Blade Cattleya 2P Ver. Hi guys! Time for a review! 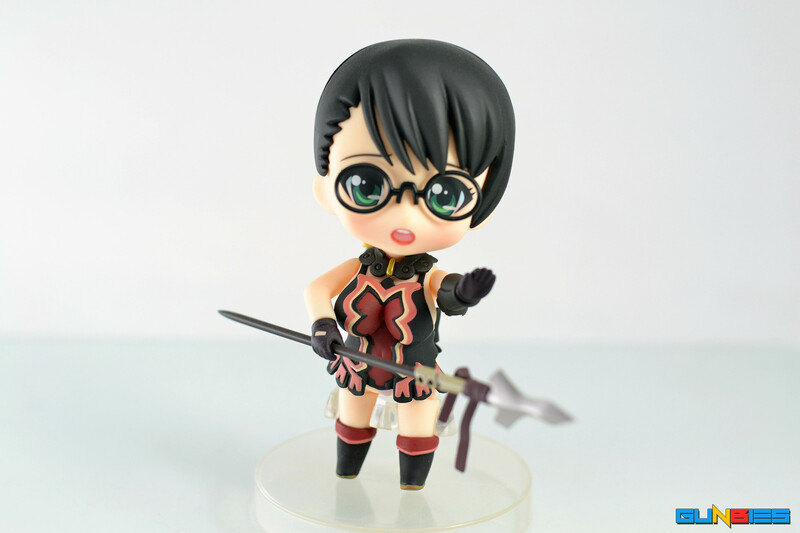 Here’s Queen’s Blade’s Cattleya! 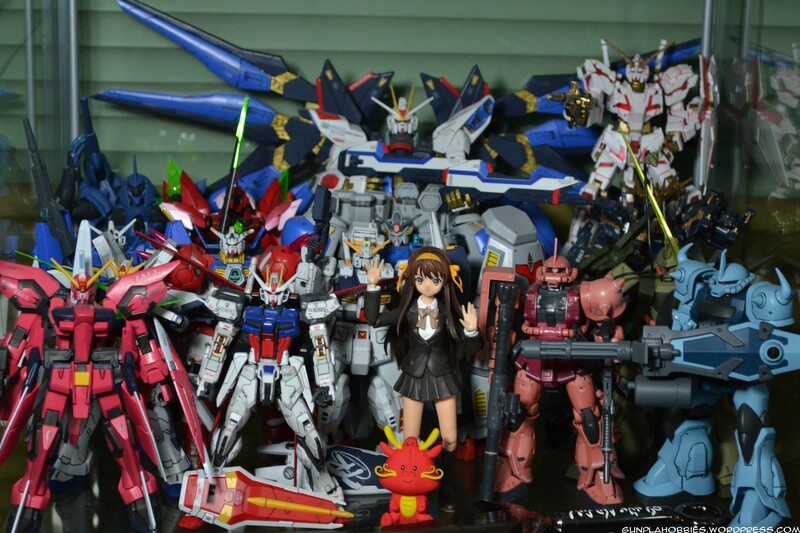 I got her from Philippines summer ToyCon 2013 in a mystery bag. 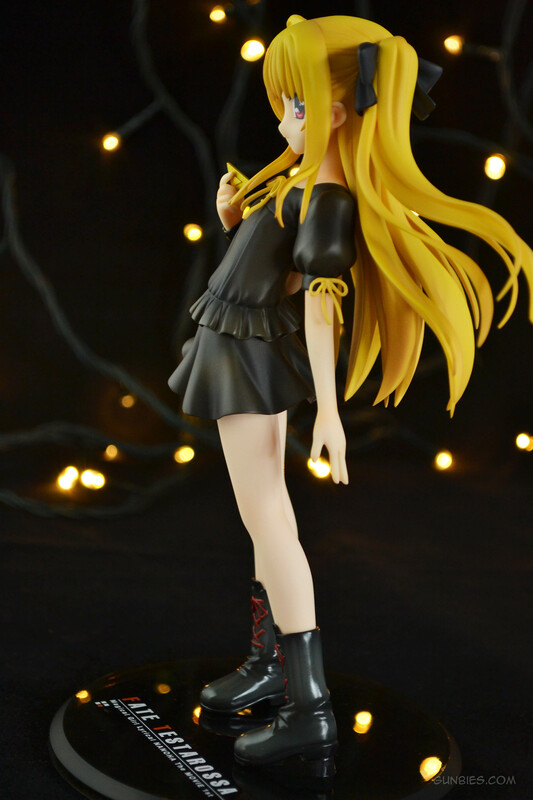 She came with 1/7 Fate Testarossa Plain Clothes Ver. (An Oath and a Little Wish) inside the mystery bag. 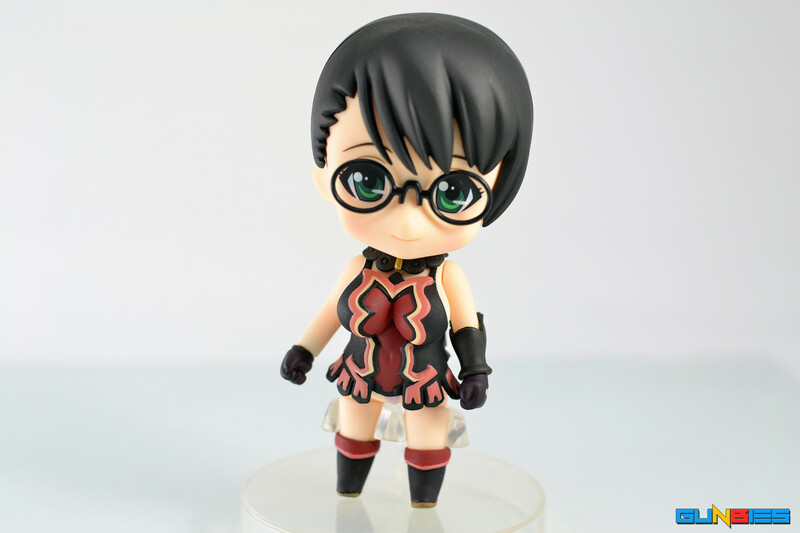 This will be my first ever Nendoroid figure. 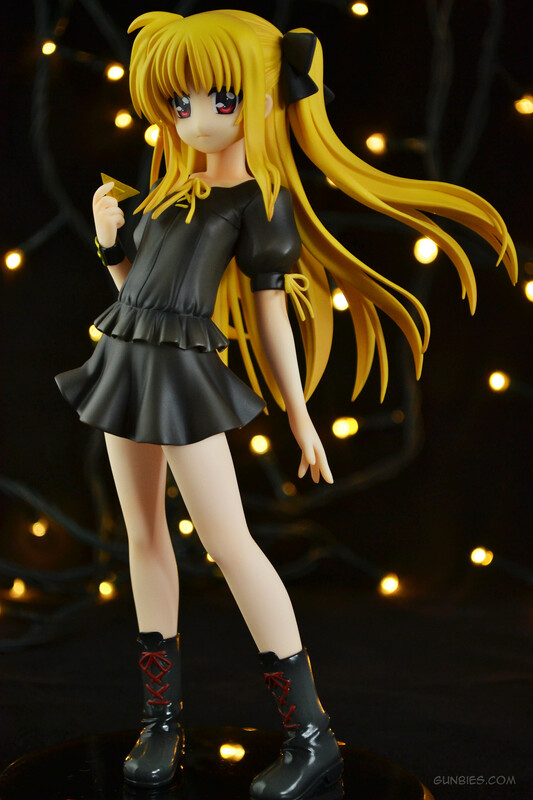 Upon searching information about this figure, I found out that this is a limited edition. 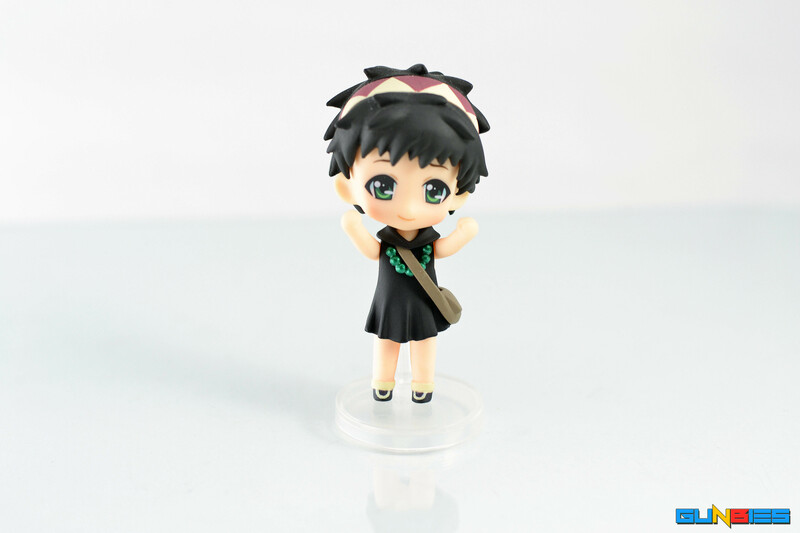 I planned to sell it but in the end I decided to keep it for myself as my first Nendoroid. 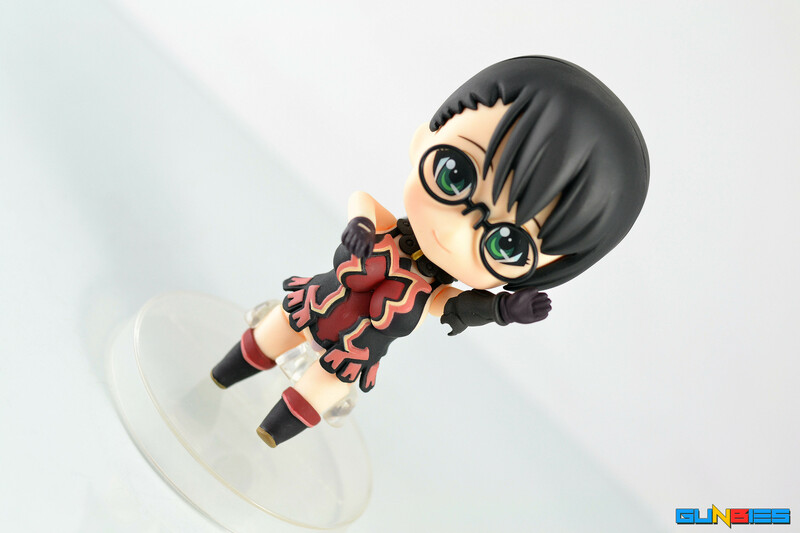 Nothing special about the box, normal nendoroid box. 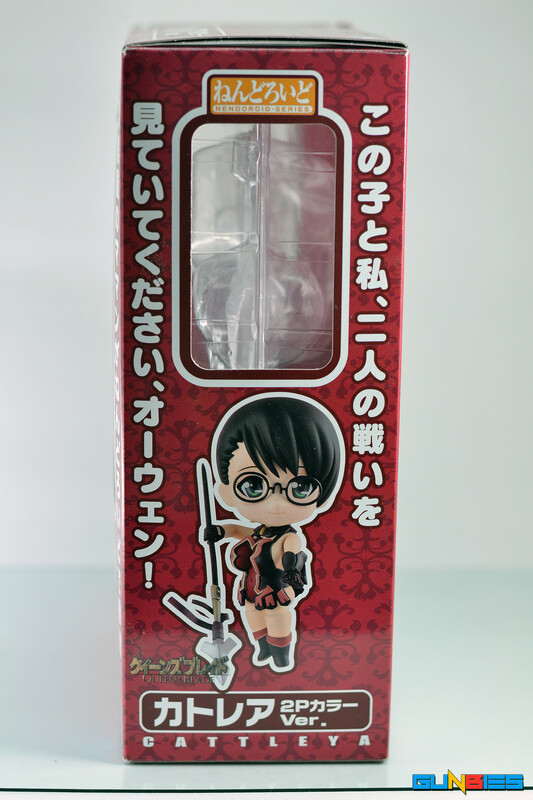 I recently noticed that newer Nendoroid have a newer box layout yes? The one with the big numbers on the side. Here are the extra parts: 1 extra body, 1 extra face plate, 2 extra legs that are in sitting position, 2 arms, and a hand for handling the spear. 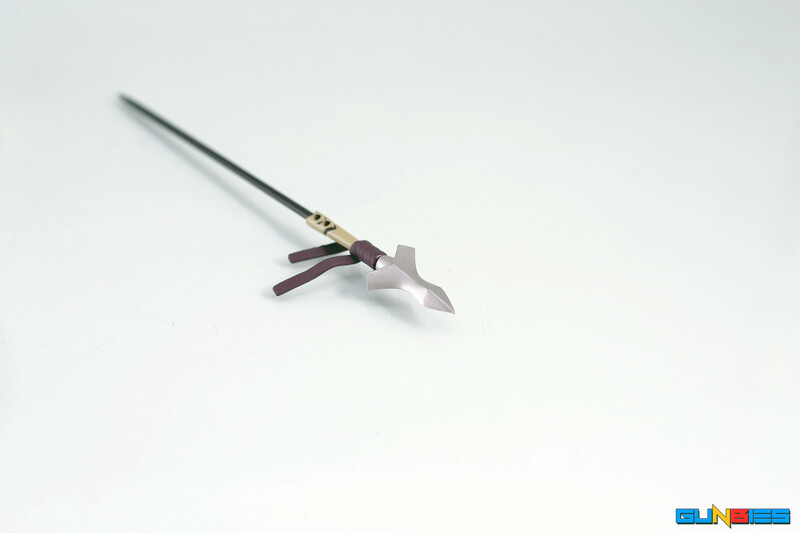 The spear is sculpted well, no paint bleeds whatsoever. 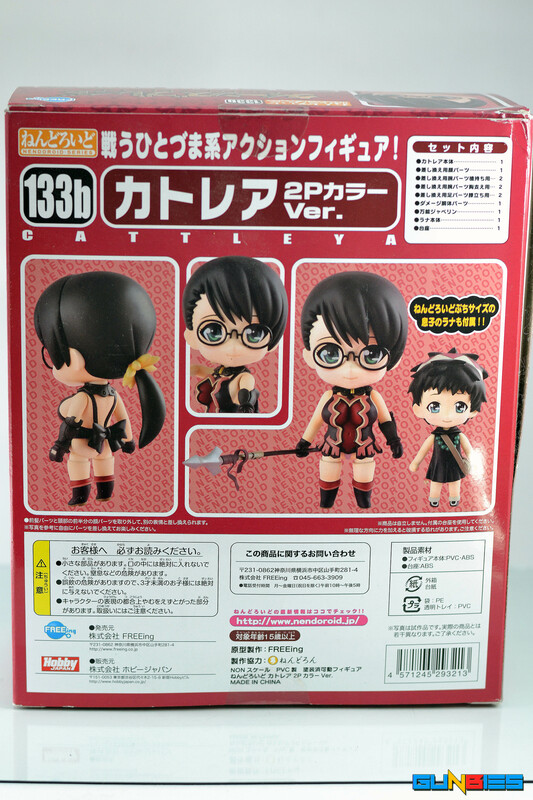 She comes with another figure, a boy who I don’t know because I have no idea yet about Queen’s Blade. 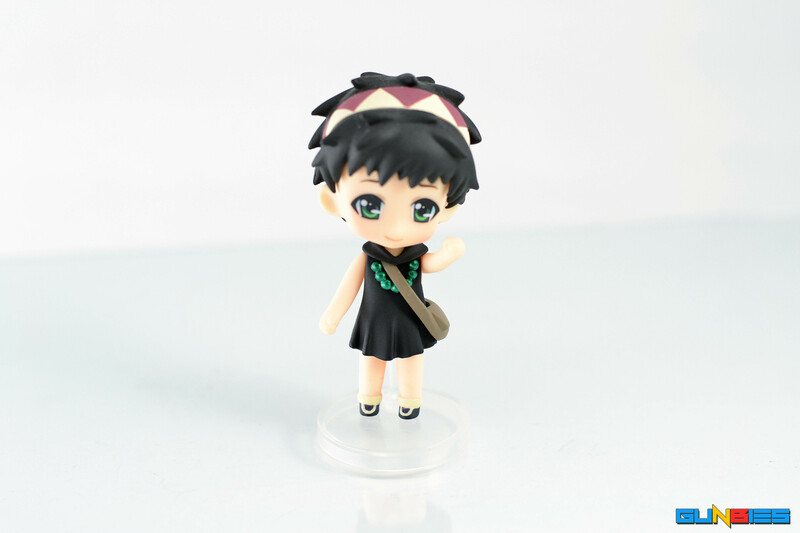 Overall, I’m quite surprised by the quality of this Nendoroid figure, no paint bleeds, colors are correct and solid, no paint transfers, sculpt is superb! 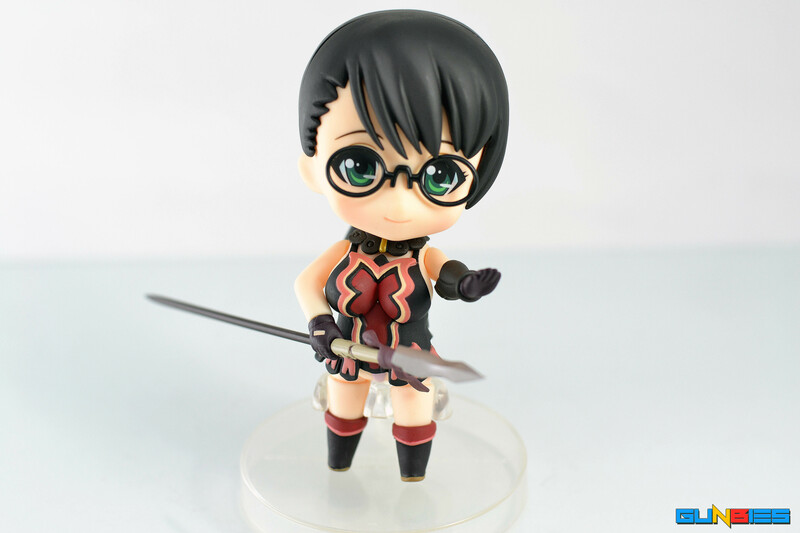 So far I did not encounter any problems with this Nendoroid, aside from the fact that she can’t stand on her own, but most Nendoroids do not stand on their own anyway right? 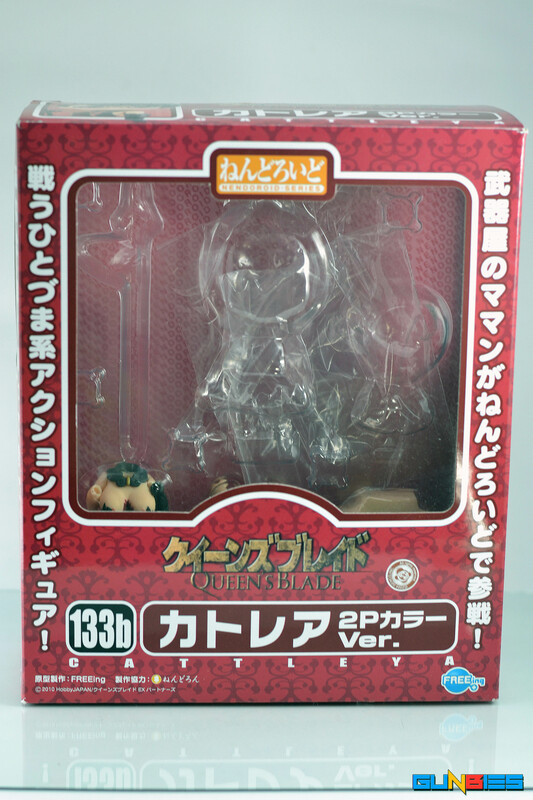 If you’re a fan of Queen’s Blade, then this is a nice figure to have! Hi guys! 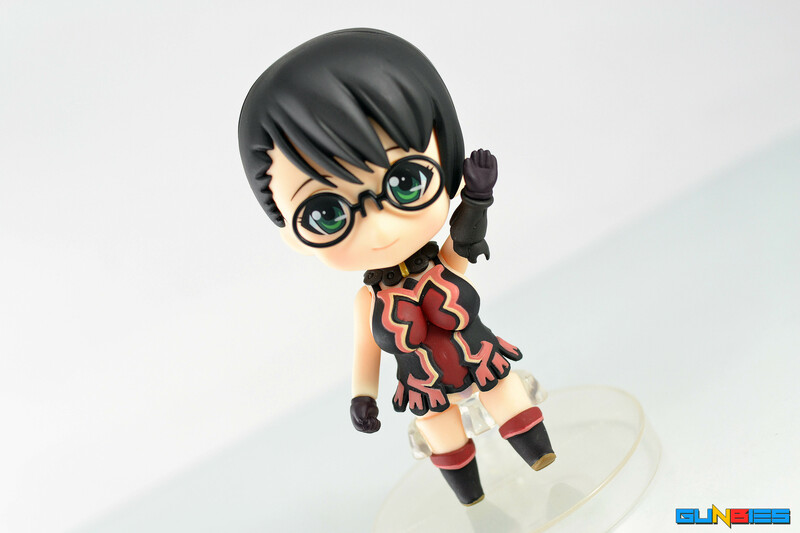 This going to be my first 1/7 PVC anime figure review! 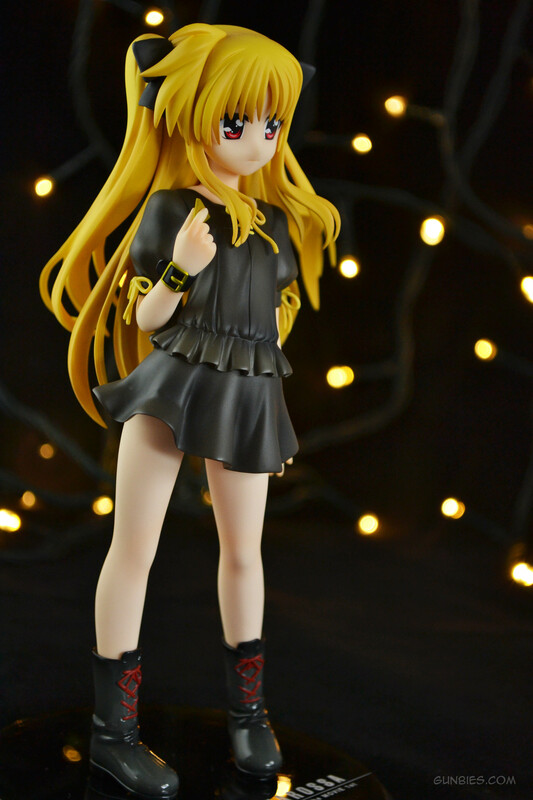 1/7 Fate Testarossa Plain Clothes Ver. by Alter! 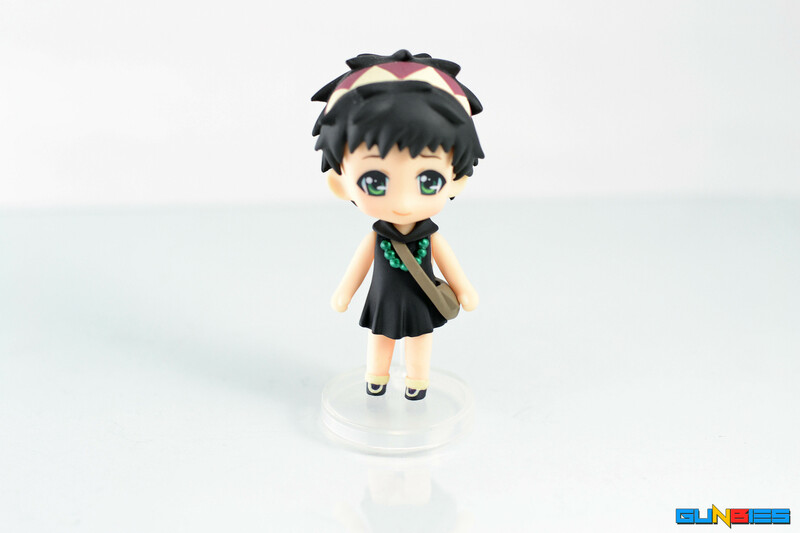 I got her during the Philippine Toy Convention 2013 at the Hobby Japan magazine booth! They had a special offer in which they are selling “lucky bags” for only a thousand (Php1000) pesos! 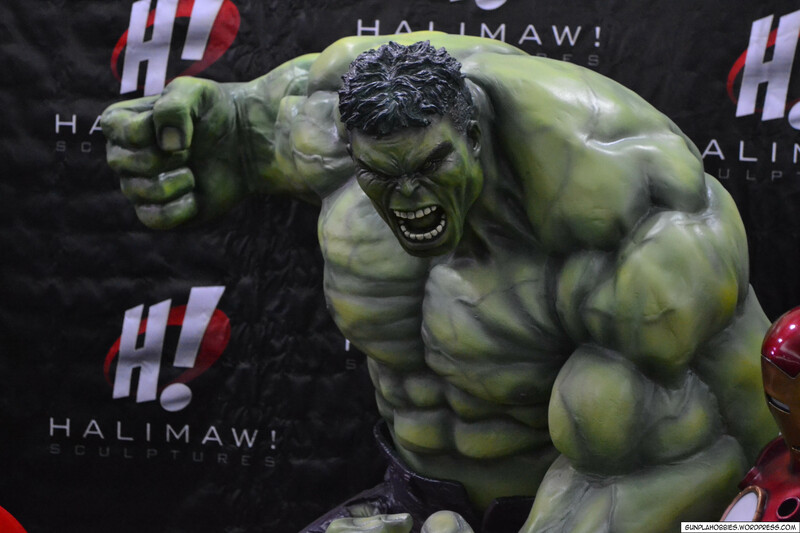 At first I thought it maybe a scam or it might not be worth it, but then again, those were real Japanese vendors from Hobby Japan, they came all the way to Japan to promote the seven deadly sins figures such as Leviathan(envy) and the others. 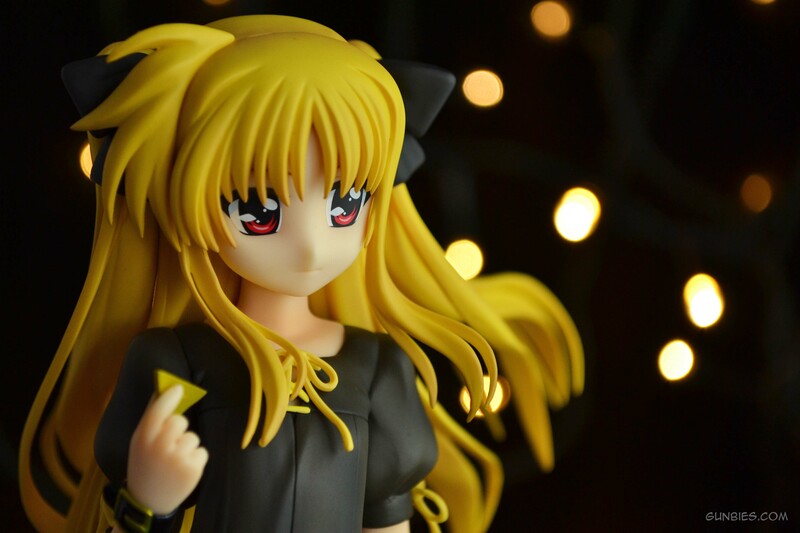 And so me and my friends tried to interview them a bit with regards to what were the contents of the “lucky bag”, they just said that it contained figures, then as we investigated further, we found out that inside the lucky bag contained a Limited Edition 1/7 Fate Testarossa figure, a Limited Edition Nendoroid that I will make a post later on, a seven deadly sins shirt, a seven deadly sin character mini scroll and a seven deadly sins sticker! And so we thought it’s already a super great deal! 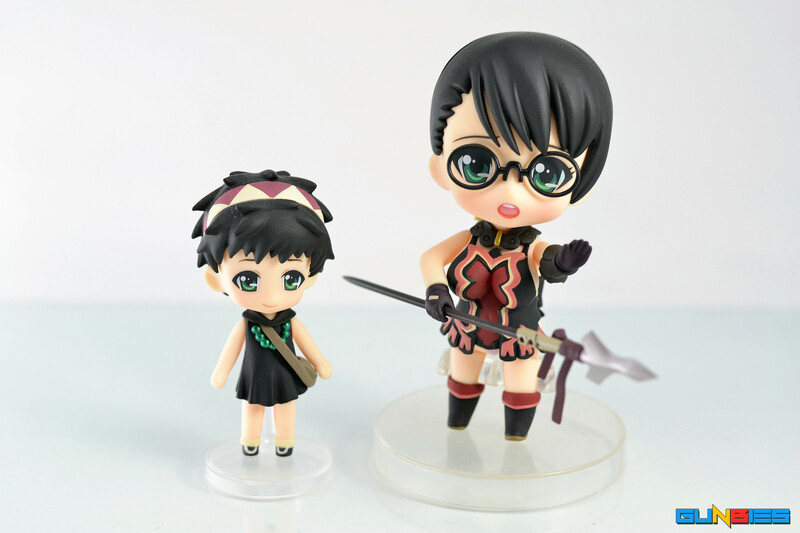 A PVC statue and a nendoroid for only 1000Php?! That’s beyond crazy and comprehension! 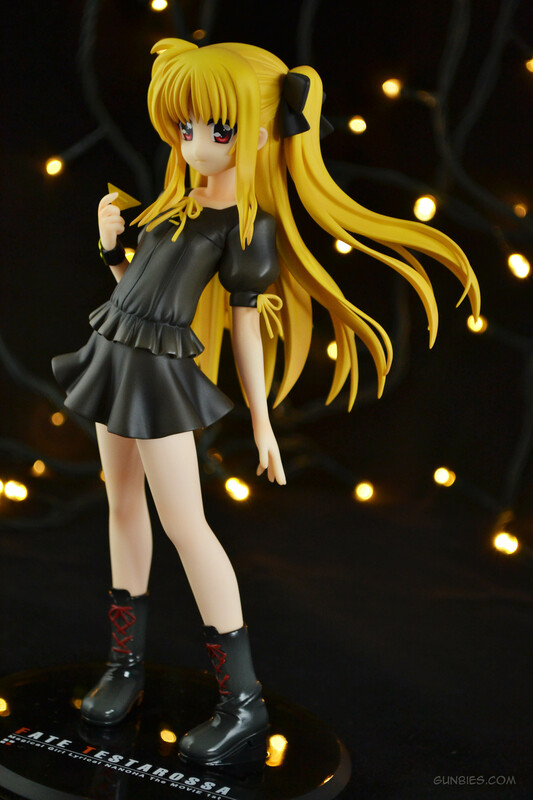 And so me and my friends got the deal, at first I planned to sell them rather than opening them, but upon posting the items for more than a week, nobody took notice of my posting and I also noticed that even one post in ebay that is already pretty old never got sold. 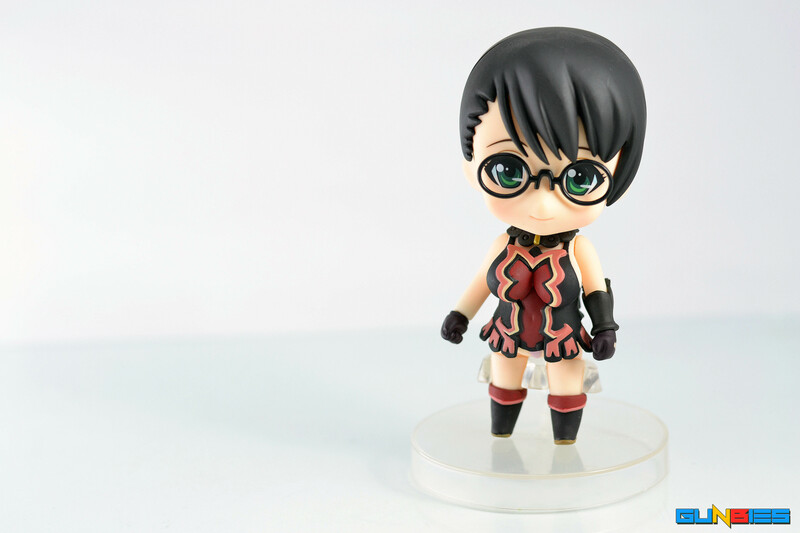 There’s no demand sadly, but I’m still happy that I got a figure and a Nendoroid for only 1000Php! So why not open it and keep it in my collection! And so here we are! Though I haven’t watched this anime before, maybe sometime in the future! 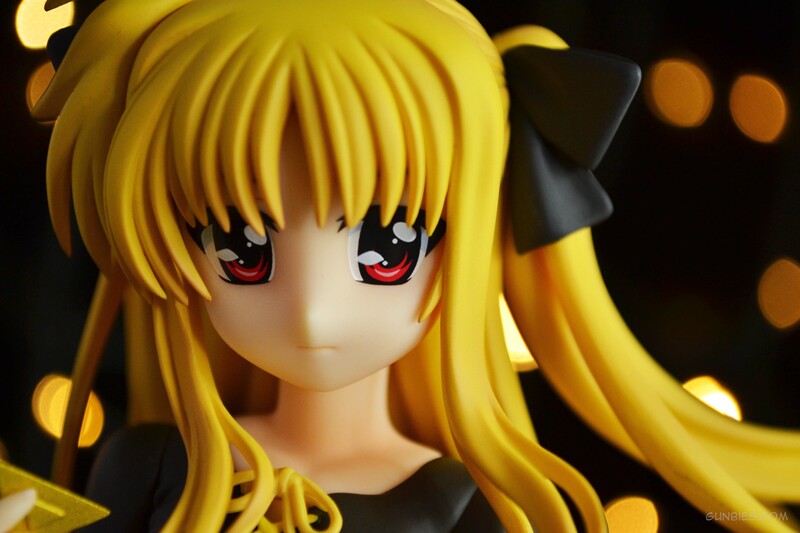 She’s really quite simple with a sadlike or meh facial expression. It’s hard to make out what kind of emotion she”s trying to express.. 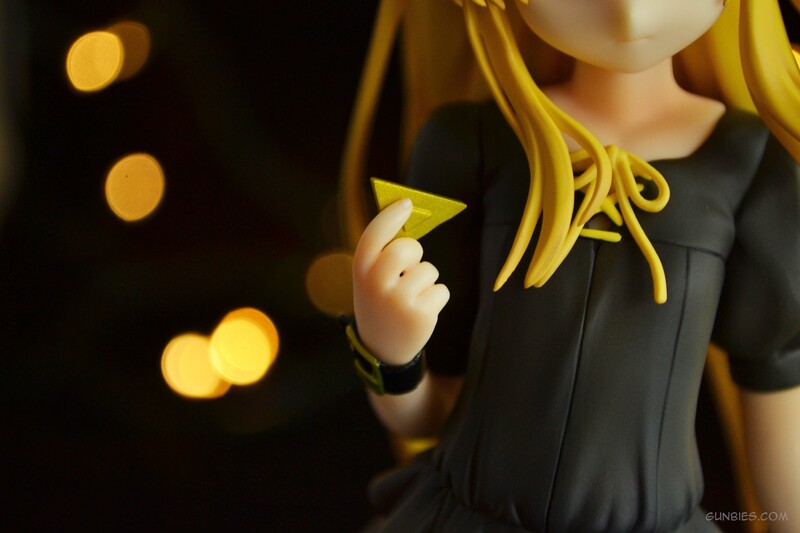 I have no idea what the gold triangle she’s holding is, anyone can tell me? 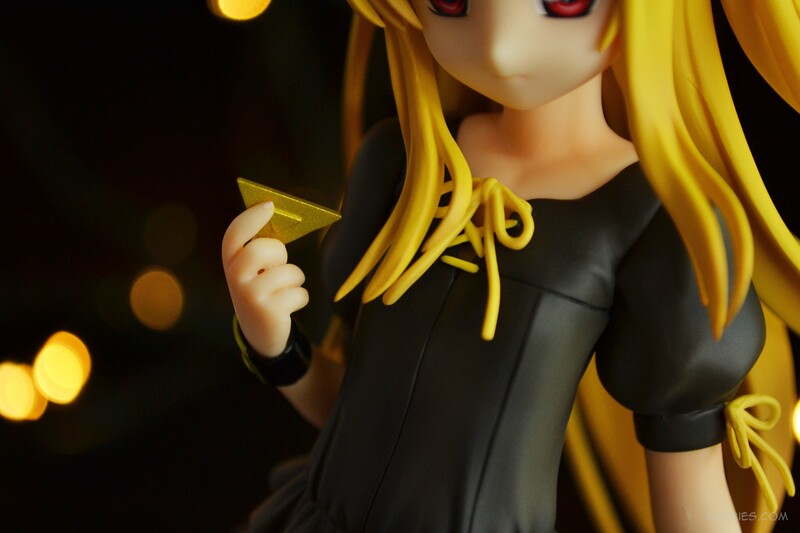 The ribbon on her blouse is nicely sculpted, but like it could break if you bend it. 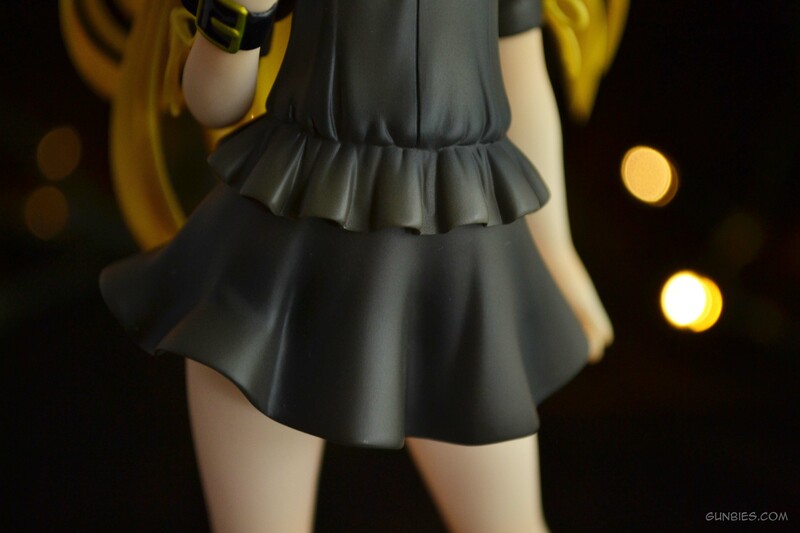 The frills on her skirt are nice, haven’t seen any paint bleeds. 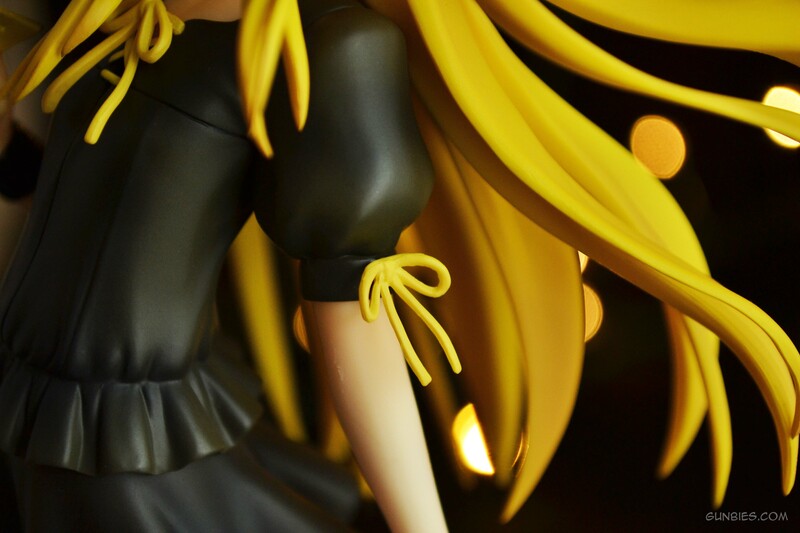 One thing I’ve always liked about PVC figures that I have seen throughout other blogs are the nails! You can see the pinkish nails on her fingers. 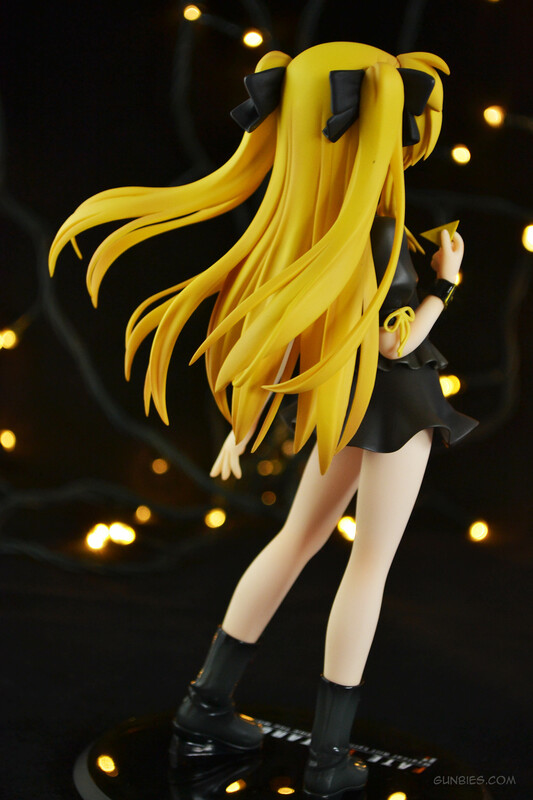 No paint bleed on her boots, I like that they made her boots glossy. 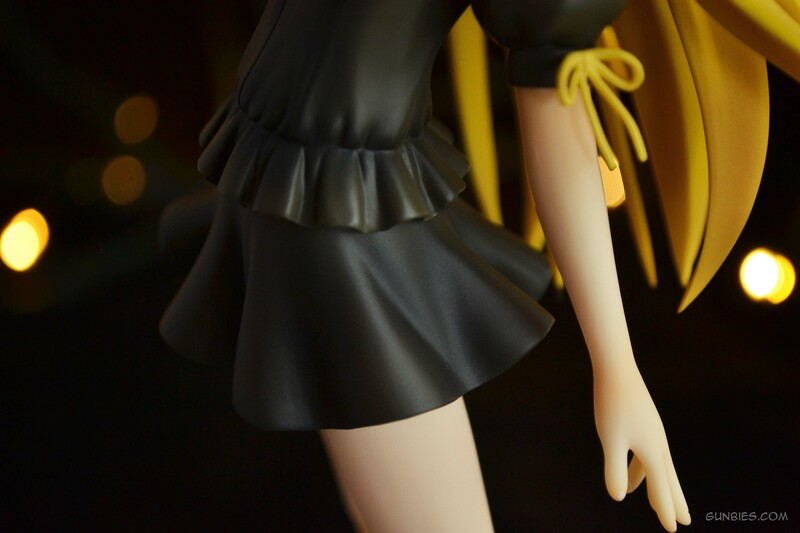 Of course, no figure review would be complete without some pantsu shots! 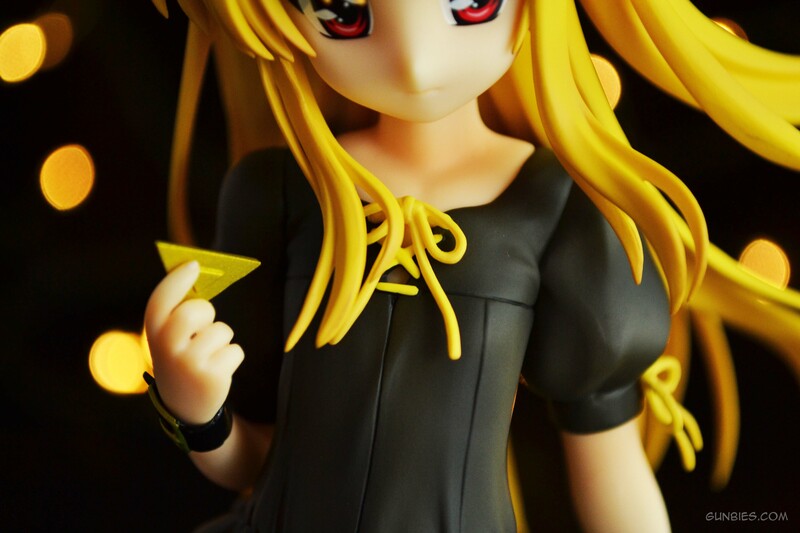 Its amazing the detail of how they sculpt anime figures, from 2d anime to a 3d figure, just amazing! The base is simple and reflective, better than nothing. 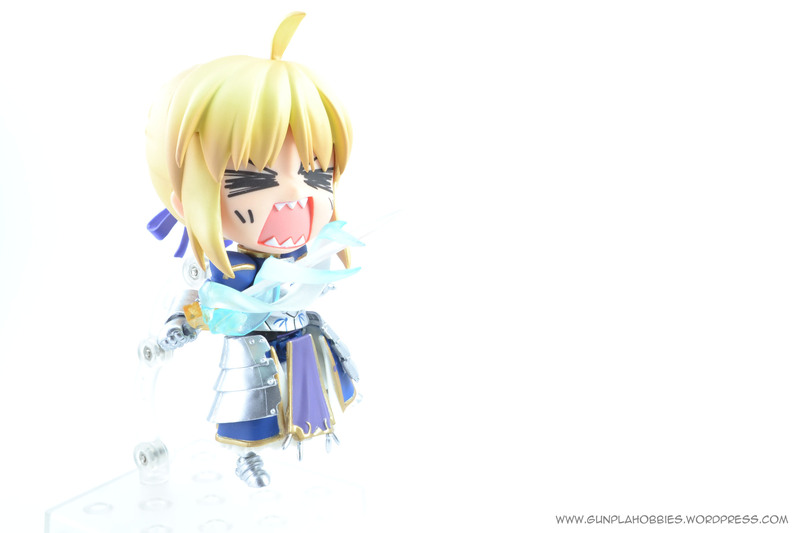 Yeah, who doesn’t love Saber! Though I haven’t watched the original anime series, I find Saber a very appealing character, beautiful yet honorable and brave! Who would’ve thought that the one who was wielding the Excalibur, King Arthur, was a woman! In fact a very lovely lady! Yeah I have only watched the a Fate Zero series since I still don’t have the time to download the original series and watch them yet.